Does the idea of bath time send your child running in the opposite direction? With some creative planning and a few exciting accessories, that daily stint in the tub can actually become one of the most enjoyable times of the day for your little one. 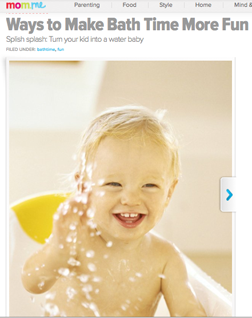 Add some pep to the “splish” and the “splash” of bath time by boosting the fun.